I gave this piece the namesake of the original sketch designer (sketch by Sofi Dosa). 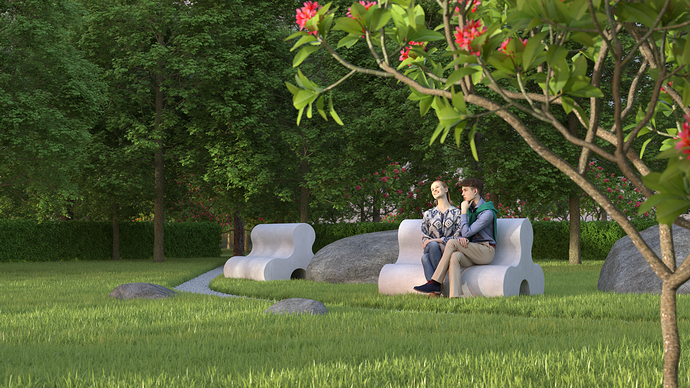 Voila… This album presents the Tridosa Garden/Park Bench. Modelled in SketchUp, the steps to the construction have been included in this album as a help or guide to build the same seat easily. 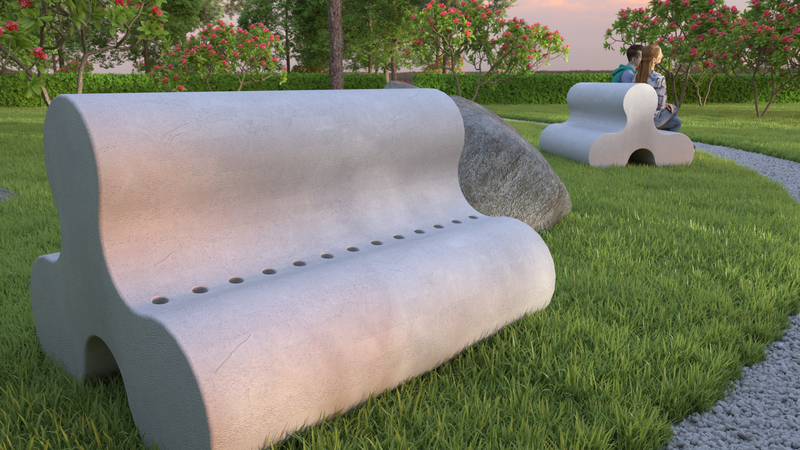 The project was created using Laubwerk for SketchUp plugin with assets from their vegetation Freebie kit. 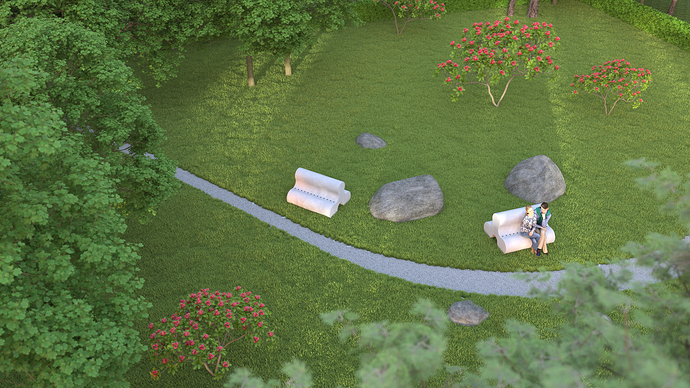 Rocks, grass and gravel pathway were created using Skatter’s librairy assets. Lovely Duane, but why have you generated the proxies? 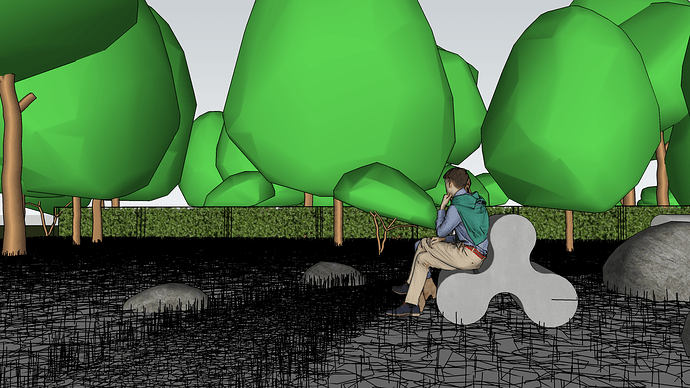 These are the Laubwerk for SketchUp proxies in SketchUp prior to render. I included an image to show what the SU screenshot looked like. I see so you generated the skatter for the screen grab? I see. I couldnt work out why you had generated it! I think his question is: why didn’t you enable “Render Only” for the grass? Yes, exactly, sorry! I wasnt clear. Yes, thank you. The reason was for the demonstration of the proxies within SketchUp… to show both Skatter and Laubwerk proxies in the scene. So, Jack, you are correct. For the screen grab only. For those using Skatter already, this is a superflous thing. Hi! What model did u used for the hedge? It looks like a low popy 2d one but it enda up well in the rendered image. 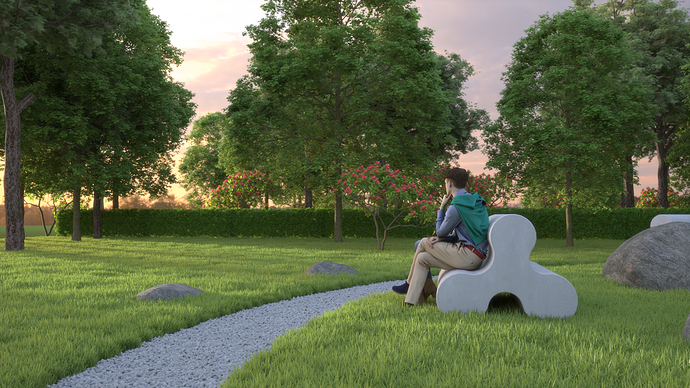 Zheljko, that’s a 3D boxwood proxy I made for Thea render. I also made a little .png 2D representation of the bush to place in the proxy so that in SketchUp, it would actually show up as it does above.